Automatic gate openers are convenient. They provide the security that people need and the hassle that they don't. They keep out unwanted guests but allow loved ones and friends to enter the premises with just the click of a button. Automatic gate openers are vulnerable to cold weather and low temperatures. Metal components will contract as the temperature drops, and unless one is using a gate that is only intended for lower temperatures, the grease will thicken as well. These things make it harder for the gate to move and open more power. Disconnect the cables from the battery and then the ends of the cables as well as from the battery terminals. If the battery is made of metal, take some Styrofoam insulation, and apply a thin layer of it onto the bottom and the sides of the box. 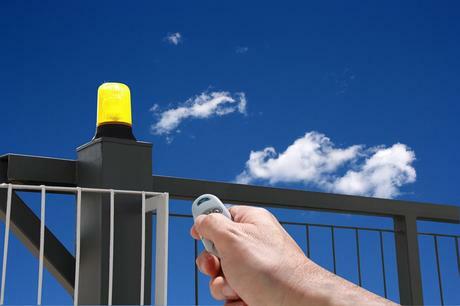 Home and business owners are supposed to wash and wax their gate openers at least once a year. Doing this will guarantee that their gates last longer and will not require expensive renovations. Home and business owners should ensure that insects are not in the electrical part of the device. They can be in electrical cabinets or boxes, circuit boards, and gate openers, and they can all pose a risk for damage. Moisture from snails, slugs, and spider webs is highly conductive. Corrosion from ant hills and bee nests can corrode the gate opener's circuits. So you have to far away from them. Check that the breaker and the switch are working properly. Check the outlet in which the gate is plugged. Some other device can also be used to see if they work when plugged in the same outlet. Examine all of your outlets to see if their ground fault interrupter is tripping. Check all of them because if GFI is tripping, this action will cause power to be cut from any device in the GFI's circuit. If none of these steps are the problem, the issue may be with the remote controller. It could be broken, the batteries could be dead and need replacement, or the controller has simply run out of "working hours." If the gate doesn't stop where it's supposed to, it is mainly due to the limit switch nut or cam failing to hit the limit switch at the designated time. If the owner has a slide gate, they'll notice that a lever is holding the limit nut in place. Its riding inside the slots of the limit nut. To solve this problem, press it back out of the slot on the list shaft. This will put it back in its correct place. Automatic gate openers are easy to install but even simpler to maintain. Don't bother calling an electrician or a fancy handy man when the opener begins to act up; following these 5 tips are likely to solve the problem at hand and get the gate opener running smoothly again.